This entry was posted in Mobile phones and health, Radiation and Health and tagged 5G, Arazi, Belpomme, biological effects, Budzinski, Carlo, conference, Davis, Germany, Hardell, health, Hecht, Hensinger, IoT, Kühking, Kundi, Kurfürstliches Schloss, Leszczynski, Mainz, Mosgöller, Pall, Teuchert-Noodt, wireless radiation by dariuszleszczynski. Bookmark the permalink. Please consider recording this conference on DVD’S so those of us that can not attend can learn this much needed and timely information. Thank you! 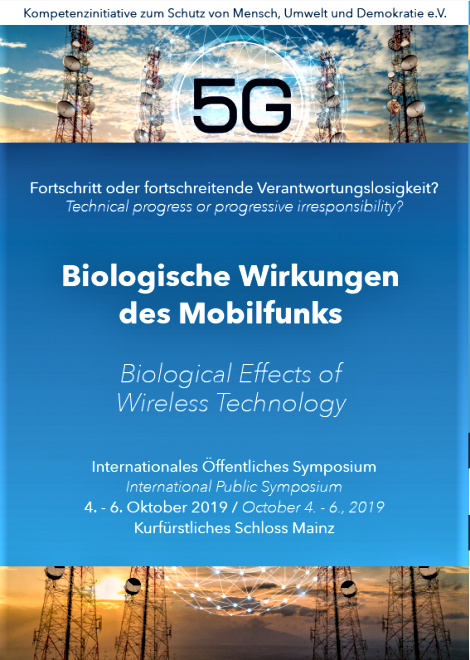 So nice to see a thorough conference on the effects of wireless technology.